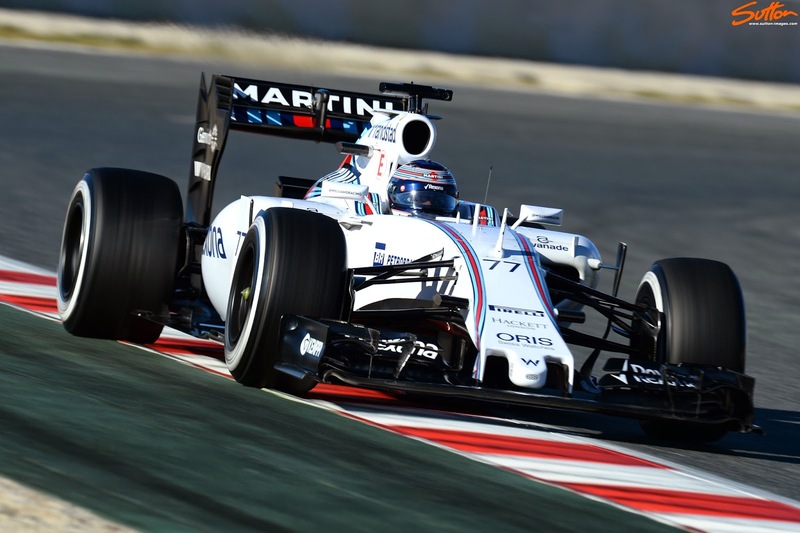 Williams have a plethora of new parts at the final pre-season test in Barcelona, as they look to extract further performance from the FW37. Part of that upgrade package is a new set of airflow conditioners, which rather than simply being vertical elements now arch over to meet with the sidepods shoulder. The airflow conditioners have also been splayed outward from their leading edge, something we have seen Red Bull do for some time now. Their intent as ever is to protect the airflow that feeds around the sidepods undercut from the front wheel tyre wake, splaying them shows more surface area to the wake. The added arch provides further protection to the flow over the sidepods from the upper tyre wake, increasing efficiency across the sidepod. As the arch now falls on top of the previous vortex generators location (see below) a fresh vortex generator has been added slightly inbound of this (marked in yellow, above). Several people have commented to me, that they couldn't understand why the Williams doesn't appear to have such a large undercut as some of its rivals. 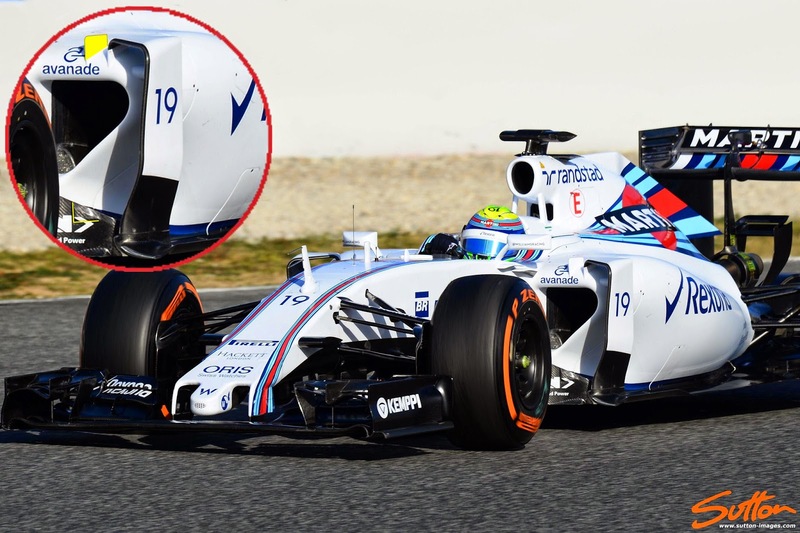 This is true but only because their whole sidepod is narrower, if you look at the image above you'll see that the crash structure (standard across the grid) protrudes from the sidepod, looking like a blister. This blister is retained with the new setup but no longer has the smaller connecting rod to the sidepod airflow conditioner.